I’m happy to announce that I’m heading for a 9 week tour of North America with Postmodern Jukebox. I’m excited to be traveling with some amazing talent again, and to see some parts of the continent I’ve never been to before. Hope to catch you on the road somewhere! 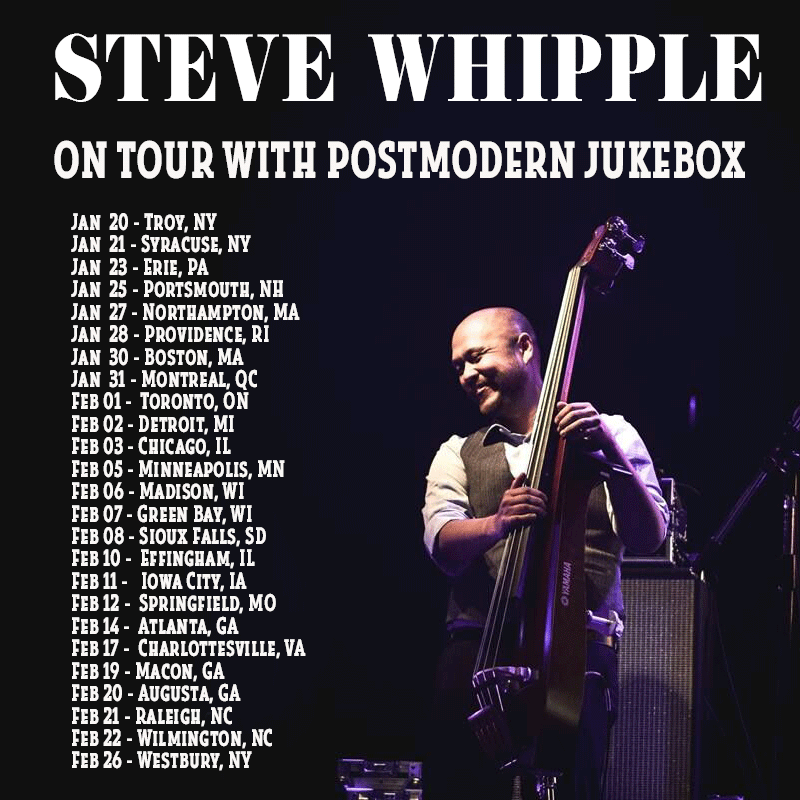 I'll be joining Postmodern Jukebox's US/Canada tour Jan-Feb of 2018! I'm looking forward to joining this amazing crew again, and playing some great shows all across the continent. Dates and info at postmodernjukebox.com. Hope to see some of you somewhere! This is the Japanese character for "voyage" or "travel." When I was visiting my grandmother in Japan in the fall of 2016, she gave me this script. She's 93, and is basically bedridden, but she still has amazing calligraphy skills. The Japanese believe that these words, or characters, have some kind of mystical power. I never took that superstition seriously, but after receiving this script from her and having the year I had in 2017, it makes me think twice. 2017 really was an year of travel for me. Between touring with Postmodern Jukebox, the Semer Ensemble, Aubrey Logan, Cristina Gatti, and Nancy Harms, I got to perform in around 20 countries. I'm thankful for the opportunity, and I'm hoping that 2018 will be another year of travel and great music making. I'm excited to be joining the Semer Ensemble for their North American tour in November. We're playing in Toronto, Ottawa, Pittsburgh, Burlington, Boston, and Montreal. This music has such an interesting story- I'm honored to be a part of this ensemble, especially among such leaders in the genre. Looking forward to these shows! I'm excited to announce that I'm heading to South America with Postmodern Jukebox in August! It's the first time the band has toured in South America, so I'm honored to be a part of this. Looking forward! Back at it again! 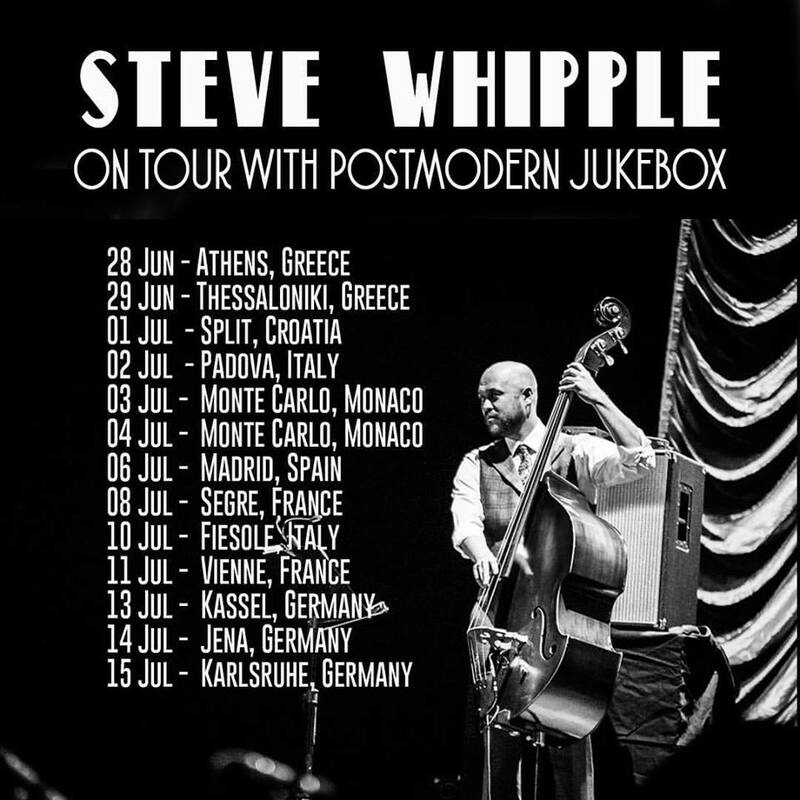 Joining the fine crew of Postmodern Jukebox for another European tour this summer. I had such an amazing experience on my first tour- can't wait for this one! I'm excited to be joining Postmodern Jukebox's European Tour Feb-April! Very much looking forward to the experience.